Birmingham City Council is on the verge of running out of money to help desperate families thrust into financial crisis by the controversial bedroom tax. The council has already given £3.8 million of its £4.1 million Discretionary Housing Fund to hard-up families and on the current trend will have spent the lot early in January. The handouts are designed to help vulnerable people hit hardest by reductions in housing benefit because they have a spare room in their social rented properties, such as disabled people who require the room for carers or couples who cannot share due to severe illness or disability. In Birmingham, 10,782 households have been hit by the bedroom tax since it was introduced in April 2013 and have to pay on average £16.42 per week to top up their housing benefit or move to a smaller property. This amounts to about £850 a year, with the worst affected losing £1,400. 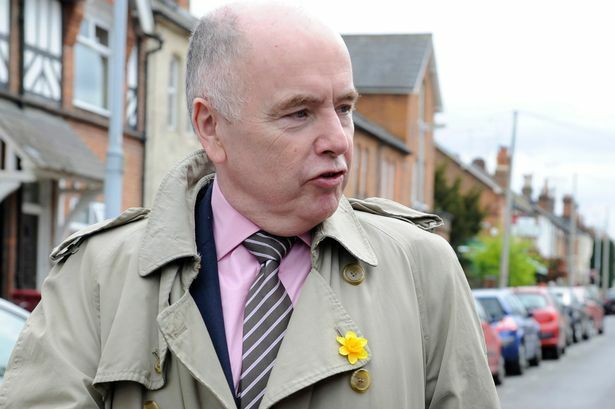 So far this year about 6,600 grants have been paid from the discretionary fund, but with the money now running out Labour MP for Erdington Jack Dromey fears many will struggle to make ends meet before the fund is renewed in April. Mr Dromey said: "Once in a generation, there is a tax so bad, so unfair that the next generation looks back and asks &apos;why did they do it? – such was the poll tax, now the bedroom tax. "Over 10,000 households, with many disabled people, have been hit hard, 1,500 in Erdington alone, losing up to £1,400 per year. "The Government claimed extreme hardship could be avoided by making discretionary hardship payments to the most vulnerable. But Birmingham runs out of money in January. Thousands face hardship at Christmas and a bleak New Year." Mr Dromey said his MP surgeries are busy with &apos;heart-breaking&apos; cases such as a couple who cannot share a room because the husband in paraplegic or another pair who have to sleep separately due to specialist breathing equipment used by one of them. He added: "We are all in favour of reducing the housing benefits bill, but housing benefit is being pushed up by low wages and high rent. I met a young mother in the food bank at the Baptist church in Erdington High Street. "She is in work, doing two jobs, but she is on poverty pay and is having to claim housing benefit as a consequence." The latest figures from Birmingham City Council also revealed that in September there were just 43 one-bedroom properties available for people to move into, meaning there were few opportunities for households to down-size from under-occupied properties even if they wanted to. The council&apos;s Labour leadership is in agreement with Mr Dromey on the issue. While Labour has promised to scrap the charge if elected next year, the Liberal Democrats have proposed extending the number of formal exemptions. The Coalition Government said that scrapping the charge as suggested by Labour "is financially unsustainable, and would put at risk savings of nearly £50 billion over the present Parliament, as well as leaving people languishing in over-crowded accommodation". A Department for Work and Pensions spokesman said: "We have given Birmingham City Council £9.2 million extra funding over two years to support vulnerable people. Councils have discretion over how they spend this money so it meets the needs of people living in their area. "Ending the spare room subsidy was absolutely necessary to get the soaring housing benefit bill under control, return fairness to the system and make better use of social housing stock." Speaking in the House of Commons Lib Dem pensions minister Steve Webb said: "The coalition parties also agree that the blanket application of the policy would not have been fair. That is why we have exempted pensioners, foster families, serving personnel living at home and disabled children who cannot share a room."